We all have an idea of what our dream house look's like, but what is really fun is seeing the imagination of what a child thinks their dream home look likes. 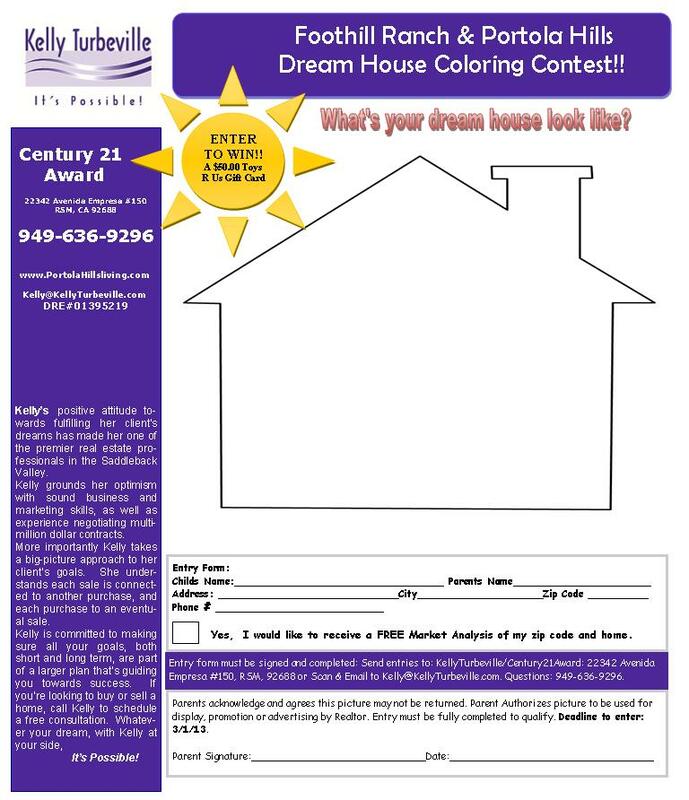 We created this Dream House Coloring Contest with the kids in mind. "I love seeing the faces of little ones when out showing properties and saying to them which room is yours, they get so excited". So let's have some fun... Color away! 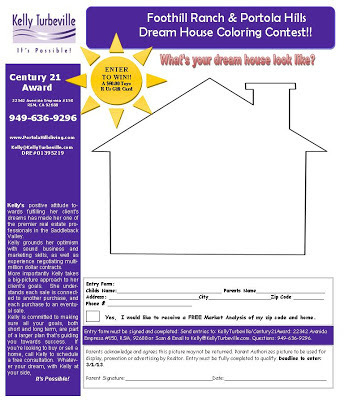 Click on the picture, download hand it to the little ones and let them color away..... Send it on in and they just may win an $50.00 Toys R Us gift card. Deadline to enter is March 1st.